PART ONE: DRIVERS – Esteban OCON (Force India), Sergio PÉREZ (Force India), Sebastian VETTEL (Ferrari). Q: Sebastian, let’s start with you. There seems to have been a real bounce. If you can fight with Mercedes, especially at Spa, then you can fight them anywhere. Has the success of the updates you brought to Hungary and Spa given you clear belief as far as the Championship is concerned? Sebastian VETTEL: No. It wasn’t necessary. I think there was always belief. If you’re going to come into the race and you don’t have the feeling, or belief that you can achieve something for one race or many races in succession then there’s not much point. But, to really answer your question, I guess, the form we showed in Spa was real and the speed was there in particular in the race which weeks ago, on a similar type of track, maybe wasn’t the case. So that’s very positive. Obviously, we had a smoother weekend all around but still, I think we’ve made improvements on all fronts. So, I was very, very happy with the performance last week. Q: It’s been a while since a Ferrari driver came to Monza leading the Drivers’ World Championship. With the new commitment that you’ve just made to Ferrari for three more years, do you feel now the full force of tifosi support and is it worth a tenth or two, do you think? SV: Well it’s worth something! Obviously, we get out tomorrow and then we see for the first time how many people show up but I guess it ramps up also during the weekend. This morning was fairly quiet but considering – I walked the track – but considering it’s only Thursday there were still a lot of people with flags around the track – definitely more than in other places. So, yeah, difficult to quantify but I guess there’s something there. Obviously, it’s a grand prix that the whole team enjoys and it’s very special to be part of. So, need to make sure we enjoy it. Q: Sebastian, quick one for you, at your previous team, you experienced a similarly tense battle with your team-mate. Does there come a point in a relationship where a line is crossed that you can’t go back from – and how do you avoid that? SV: No, I don’t think… I think you can always talk to each other. On track, let’s be fair, you have occasions where things may not turn out the way both want to. I don’t think any driver ever has really bad intentions over his team mate or any other guy but for sure the duel with your team-mate is a bit more intense. You’re driving the same car, you are therefore naturally fighting for the same position around the track. So, yeah, you want to stay ahead. I think inside the car you want to be the one that is in front. At the time maybe you don’t care much about what else is going on, as they both mentioned. Obviously, the team behind, they don’t really care which driver because they see their cars. It’s a tough line in terms of, y’know, you have to be, in a way, egoistic inside a car. Equally, you want to do the best for the team. But there’s never a line, I think, you cross you can never can come back from. They obviously took the opportunity to talk to each other and y’know, if I look now with Mark, obviously, I guess that’s the one you’re talking about, I have a very good relationship with him and we talked also about stuff that happened years ago with a lot of distance and y’know, now we can laugh about it. We both have our views, I think we both have different views, maybe now on some things that we had back but that’s normal as you go forwards. That’s why I think you can also cross a line again. And finally Sebastian, you’ve obviously got a pretty decent scrapbook of your own memories of Ferrari – any before that in particular? SV: Yeah, as another big admirer of Michael, most of my memories as a child of watching Formula One are linked to Michael and in that case linked to Ferrari. So, big admiration for him but for the car he was racing, for the team and obviously the dream came true when I was able to join the team – but yeah, lots of memories. Childhood, I remember I was always racing with toy cars and the red car always won. Don’t know why! It’s sort of what I was taught by the world around me, I guess, is that that car should be in the front, or has to be in front. Yeah, and obviously since then when I had the opportunity through Michael to be in the Ferrari garage for the time, I think Nürburgring 2003 for a short time. Just magical to see the guys moving around, everybody dressed in red. These kind of things really matter to you as a child and make a difference. Now, obviously, I’m there whenever I want to be, which is quite nice. So, lots of very, very special memories. 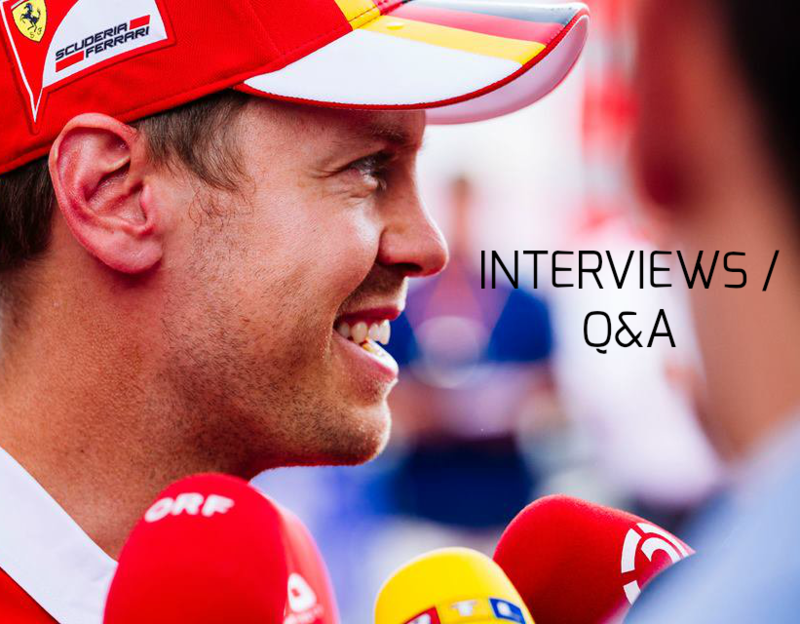 Q: (Marco Privitera – LiveGP.it) A question for Seb. We have seen a big fight in Spa with Lewis in the final part of the race. 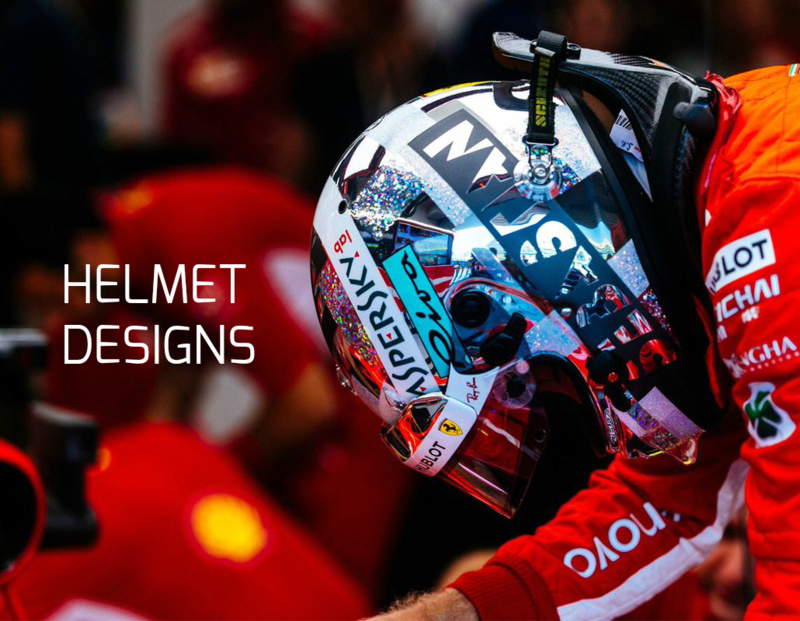 If you would be here in Monza in the same situation, would you attack him in a stronger way in order to make a special gift to Ferrari’s tifosi, or would you rather think about your championship hopes? SV: I think you are racing to win the race. I think that has priority. Obviously you need to be aware of what you are doing but it wasn’t like I was saving myself. I tried everything I had at the time. I stick with him the whole race, so I was battling, I think the whole race with him. Maybe not wheel-to-wheel but it was really close and intense from a driving point of view. So I enjoyed that a lot but obviously he had the upper hand in the end. So there can be only one of the top step of the podium. I think there are some things that I learned from Spa, that we learned as a team but I learned as a driver. Things that I would do a bit different. But at the time it felt like the right thing to do, with hindsight it was a bit more clever. Here I think it’s a different track. Generally it’s possible to overtake. We’ll see where we are in the race. I think going into this weekend we need to be fair and say that the track layout suits Mercedes but the performance that we showed last week gives us hope. So, we tried to do the best. Obviously, yeah, there should be quite a good atmosphere and a lot of support so for sure we try to give all the love and passion that we’ve received so far this year, we try to also give something back from our side. 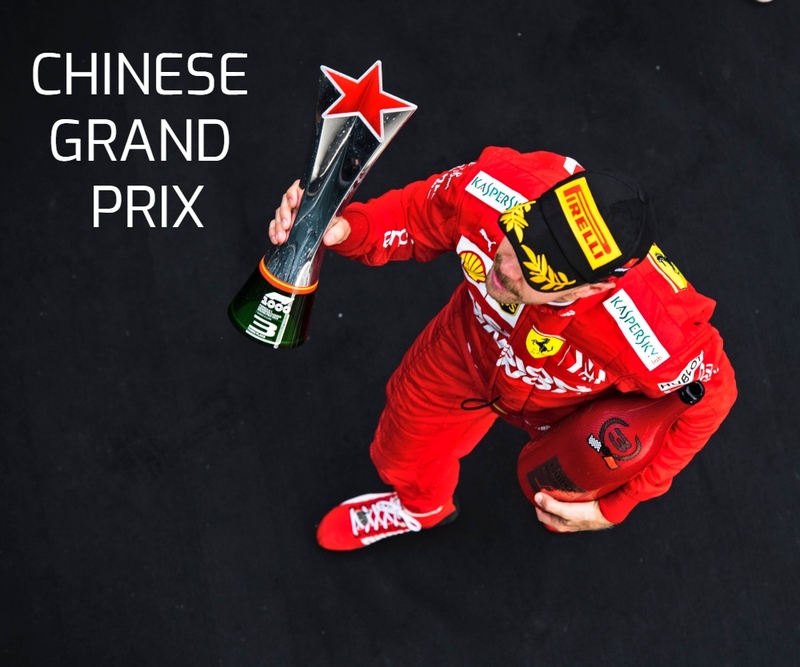 Q: (Silvia Arias – Parabrisas) Seb, if you had the possibility to choose, what would be important to you: to win one championship with Ferrari or two with another team? SV: Well, I’m not with another team, so I think I prioritise to win here. Obviously I have been very, very fortunate in the past to have the success I have had. It’s like a drug, you want to do it again, you want to get that feeling again, you want to stand on top of the podium and yeah, I think if you manage to achieve your target at the end of the year – talking about the championship – then it makes it very, very special. It’s something that has been a while and I want to do it again. For sure, it always feels a bit different if you are with a different team. How it feels with Ferrari, I don’t know, that’s what I’m trying to find out. Q: (Ralf Bach – Sportbild) A question to Seb. Coming back to Spa, it was the first situation after Baku where you were behind him with the safety car. Do you think he learned from Baku and his behaviour was better? What do you think about what he did? SV: What, specifically? The re-start? Q: (Ralf Bach – Sportbild) Braking, not braking? SV: I tried to react. There have been a couple of re-starts, everybody has his style and you need to obviously try and do your best. I wasn’t thinking about Baku too much to be honest. I was thinking of trying… basically the same things as in Baku, trying to stay as close as possible and have a good re-start. I had a chance and I wanted to make sure I stay with him and use it. All went well, so nothing to think about, but I can understand if further back it was feeling a bit stop and go. Q: (Lennart Bloemhof – De Volksrant) A question for Sebastian. In Spa you said Ferrari has something that other teams don’t have. Can you tell me what that is and do you think F1 is more important for Ferrari or is it the other way round? SV: How can I describe? I guess, don’t get me wrong, maybe you have, but I guess you don’t have a Ferrari? No. Have you ever sat in a Ferrari? No. Then I strongly recommend that you do. Just to sit in a Ferrari… there are a lot of great sports cars around the planet, I don’t know all of them, at least that’s the way I feel and that for me is something unique and it’s similar and it probably describes or answers your questions, or tries to at least. It’s the feeling when you step into a Ferrari, when you sit in a Ferrari, I don’t know, you can step into another car but you don’t get the same feeling. When the engine then starts and you have the chance to drive yourself then I think everybody who likes cars and has a passion for racing falls in love with the cars straight away. Maybe you should ask whoever you are writing for to give you the opportunity to sign off a day in a Ferrari. That would be the best way to answer the question. Q: (Aritz Muno – MotorGP) A question for Sebastian. How does it feel to return to a circuit where you won for the first time? SV: Yeah, it’s a special place. It’s many years ago, a long time ago, but still a very strong emotion. There are people inside the team now that I have been working with back then. Obviously we had a Ferrari engine in the car with Toro Rosso in those days. The whole weekend was magical. Saturday to have the pole, and to win the race on Sunday the way we did. Pretty amazing memories and when I walked the track this morning there are some pictures coming back. In fact, I’m working with the same race engineer now as I did back then, with Ricardo. It’s a memory we shared together and yeah, it makes this place definitely one of the most special places for me. Q: (Alex Combralier – Nextgen-Auto) A question for Sebastian. At Mercedes we could see team orders between Hamilton and Bottas this week. Do you think that team orders are now necessary in your team and do you think that Räikkönen would agree with that? SV: No, and I think the second part of your questions is also no. I am a bit surprised by the way things are put. I think Kimi and myself, I can’t speak for other people, but Kimi and myself I think we have been racing each other all year. I read or I heard after the Hungarian Grand Prix that he was protecting me. I think if you speak to him he can make it pretty clear. He was, how can I say, I don’t think he was leaving anything behind. I think if he had the opportunity properly to pass me he would have tried and that’s fair enough. I think it would have been the same the other way round. I think we are racing for the team, we’re both trying to our best, if it happens that you race for the same spot then you might meet yourself on track, as these guys have proven. You’re both fighting for yourself but you’re also fighting for the team, so it’s something you need to keep in the back of your mind. I don’t know what other teams are doing, but for us, I think we both go flat out and see what happens. Normally you can always talk about a lot of things, scenarios and so on, but it always turns out to be a bit different from that. Q: (Peter Farkas – Auto Motor) Sebastian, your car has been pretty reliable this year in general, apart from that hiccup in Hungary with the steering. Have the team discovered what the problem was, was it a mechanical problem, or just an impact? Did you have to take any countermeasures to make sure it doesn’t happen again? SV: In Hungary? Yeah, we found the issue; it was an issue with the track rod. It was mechanical, we fixed it and it was fine ever after the race. Yeah, I think in terms of reliability, it’s true, things have been going really well. You’re trying to push the limits as hard as possible, but certainly we are not yet where we want to be. We can always improve. There is a lot of work and effort going on but certainly in Hungary it was a bit uncertain, also in the car, how the race would finish, if I would finish at all. I saved the car as much as I could, which turned out to be the right thing before it could have led to a DNF. Q: (Dieter Rencken – Racing Lines) Sebastian, the way that Mercedes have played the oil burn regulation: do you believe they have stolen a march over Ferrari, that maybe Ferrari missed a trick after Spa? SV: No, not really. I don’t know whether that was always the plan for them, or whether they reacted to that and pulled it forward. I think for us we are pretty much on target. Obviously we know the change that is happening from here, on what is it? We don’t have a new engine for this weekend. I think it would be quite silly to miss for that, if that was your purposes, just for one week, so I think we are on plan, but as I said, I don’t know whether that was their sole intention or whether they had other issues. Q: (Louis Dekker – NOS) A question for Sebastian: the new cars they will be quicker than last year and it is a power circuit but the difference will be in the corners I think. Can you give a description of what it will be like? SV: Well, here I guess it will be fairly small, the difference, because on paper it’s probably the track that suits the old cars best, meaning that with long straights and more drag this year and because of more downforce naturally the cars will be a bit slower down the straights. They will still be quick because the engines are a bit better and so on, but yeah, I don’t know, the lap time will I guess be similar. I don’t expect it to be faster, like we went in Spa, not by that amount. But I don’t know, generally it’s lower downforce here, so the car is very light, but there are some epic corners on this track – the two Lesmos, especially the first one, it’s one of my favourites, Ascari, Parabolica, so with more grip normally they feel nicer, so they should be quite enjoyable this year. Q: (Frederic Ferret – L’Equipe) Can you explain to us the difficulty of towing during qualifying and are you planning to use that on Saturday? SV: It’s always very difficult to time and you need to be lucky to get the most out of it. It’s one of those things… you can’t plan what other people are doing. You can’t plan ahead and you can only look after yourself. For sure you can position yourself so that it should be helping you or not helping but whether it works out or not is very difficult to time, unless you do something that you agree on before with your teammate or others. Let’s put it this way: the likelihood of getting it wrong is far higher than getting it right.